This was first featured on Space Wolves Blog in 2011 which is now lost to the warp. In an effort to retain the information we have republished it here. 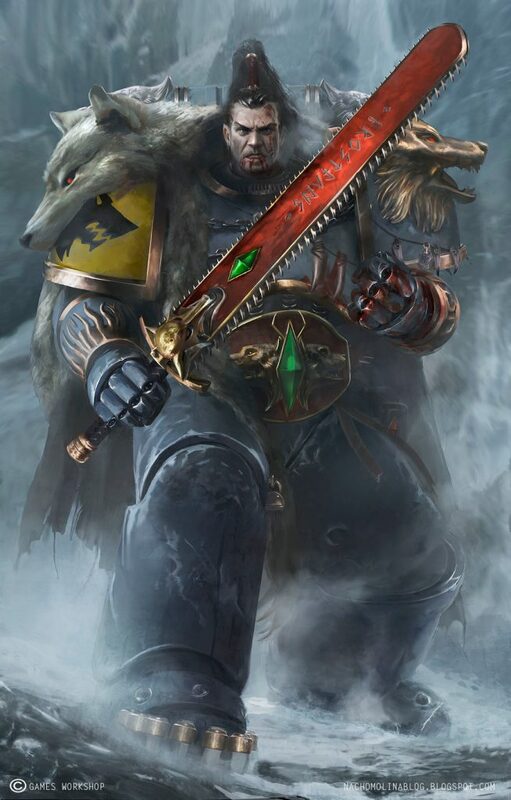 Ragnar Blackmane is the youngest Space Wolf have have ever been promoted to Wolf Lord. Famous for his blood curdling howls and berserk charges, Ragnar has a capacity for raw hatred that gives him great strength, yet many believe that his impetuous nature may yet prove his downfall. But to witness one of his berserk rages is to watch the fury of the hurricane come to life and countless blows are rained down upon the enemy. As an aspirant Ragnar slew an enormous blackmaned wolf and wore its hide on his journey through the great snow drifts and back to The Fang. From that day Ragnar took the Blackmane as his totem and namesake, forever cementing his place in the legends of the Sky Warriors. Since then he quickly rose through the ranks, displaying incredible ferocity and rising from the ranks of Blood Claw to Wolf Guard, which was an almost unheard of promotion. Finally, having avenged the death of his Wolf Lord, Ragnar found himself elected as the next Wolf Lord -a remarkable accomplishment for such a young warrior. Naturally, such a ferocious character is a very appealing HQ choice for any Space Wolves player. Ragnar Blackmane not only has the Saga Of The Warrior Born, but also a number of other unique abilities to increase the Assault potential of friendly units around him. Equipment: Bolt Pistol, Frost Blade, Wolf Tooth Necklace, Wolf Tail Talisman, Melta Bombs, up to 2 Fenrisian Wolves. Skills: Saga of the Warrior Born, Insane Bravado, War Howl (Furious Charge), Incredible Reflexes. It’s easy to forget that this ability automatically gives Ragnar and any unit he leads the Furious Charge ability. When he uses his War Howl, all units within 12″ also receive Furious charge for that assault phase. So this ability is best used at times when all your Grey Hunters have disembarked from their transports and are ready to pile in to a massive close combat! No doubt you will be able to easily measure 12″ from Ragnar to a model in a friendly unit. Of course, if Ragnar is in the centre of your battle line, you’ve got a 24″ wide area of effect for this ability centred on Ragnar. Any squad Ragnar joins MUST launch an assault if possible. In addition to this, Ragnar and any unit he leads gets +D3 Attacks when they charge instead of the usual +1. While some players may be keen to have Ragnar leading a pack of Blood Claws, the Blood Claws’ Berserk Charge ability offers a similar bonus to Insane Bravado, making the combination of these two units a poor choice. Instead we would recommend having Ragnar lead a pack of Grey Hunters because of the Wolf Standard. Because the Wolf Standard allows the rerolling of all 1’s during the Assault Phase, this would also allow you to reroll and Insane Bravado rolls of a 1! Because of Ragnar’s many other abilities, the Wolf Standard would give even greater benefits with its rerolls. As a Wolf Lord, many will be keen to give Ragnar Blackmane his own bodyguard of Wolf Guard. However, a regular pack of Wolf Guard can’t compare to a pack of Grey Hunters. Although Combi-weapon spam Wolf Guard Terminators in a Land Raider have proven to be a brilliant assassination unit to take down enormous monstrous creatures or powerful characters. I always arm mine with a mixture of combi-weapons, power weapons, a chainfist or thunderhammer (for anti-tank, anti-monstrous creature and last minute infantry smacking), a wolf claw to help with wound allocation and finally a cyclone missile launcher for long ranged fire power. Its the optimum combination and the most rewarding in return on investment for your points. It also makes all 5 models unique for the purpose of wound allocation. When you add Ragnar Blackmane to the mix, these Terminators get a boost to their Initiative, Strength and Attacks when charging -And that’s really good when you’re attacking with a plethora of power weapons! However, to fit Ragnar in their Land Raider we need to boot out a Wolf Guard (and lose the Cyclone Missile Launcher) or take a Redeemer over the standard Land Raider. I’ve often said that Space Wolves need all the lascannons they can get, but there’s no denying the awesome power of the Redeemer’s flamestorm cannons. While the idea of getting Ragnar, a handful of Wolf Guard Terminators and bunging them in a Land Raider Redeemer sounds like a brilliant idea, this unit comes to over 700 points! That’s a lot of eggs in one basket. As mentioned above regarding Ragnar’s Insane Bravado, there really aren’t any benefits to be had by Ragnar leading a pack of Blood Claws. Sure, they get Furious Charge, but that’s about it. There are far better units in the army for Ragnar to join and share his abilities with. In particular, Grey Hunters who are able to share their abilities with Ragnar in return, creating a much stronger unit. We all know that Grey Hunters are the best unit in the army and largely its down to them having access to a Wolf Standard. The Wolf Standard works brilliantly with Ragnar’s Insane Bravado and Wolf Howl while allowing the unit and Ragnar to reroll all rolls of a 1 for a single assault phase. Also, Grey Hunters do have a tendency to get bogged down in close combat in the assault phases following the first (which they often use their Wolf Standard for). This is where Ragnar’s Saga Of The Warrior Born really comes into play, keeping the number of hitting and wounding attacks high to ensure that the enemy are effectively wiped out without sustaining too many casualties. They would have to be some seriously ferocious Long Fangs for Ragnar to lead them! There really are no benefits to Ragnar joining a pack of Long Fangs…or any static unit for that matter. If you’re looking for a Wolf Lord who encourages you to get stuck in to close combat, you won’t find better than Ragnar Blackmane. While he’s fairly expensive in points, he does give the unit he leads +1 Initiative, +1 Strength and +D3 attacks on the charge. He also gets these bonuses himself, so he’s an excellent close combat character. And that’s before we take Saga Of The Warrior Born into account. The best place for Ragnar seems to be in with a pack of Grey Hunters because of the benefits from the Wolf Standard. This not only enhances all the abilities he passes to the Grey Hunters, but also enhances Ragnar’s abilities (like Insane Bravado) in return. 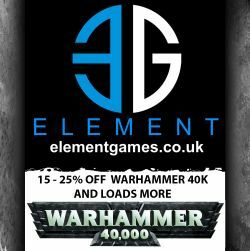 Now you just need to decide whether you want Ragnar Blackmane to join a pack of Grey Hunters in a Rhino or to get more of them into a Land Raider Redeemer and take the fight straight to the enemy! A completely unofficial blog about the warriors of the Rout. 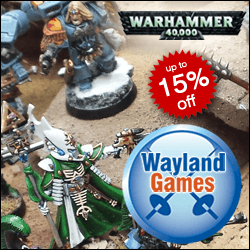 We have painstakingly rescued content from around the web to maintain a growing resource for Space Wolves fans.